A new channel has started in DVB-S Clear: ZNBC (Zambia) on 3772.00MHz, pol.R SR:5000 FEC:3/4 SID:2 PID:33/36 English,38 English,48 English. 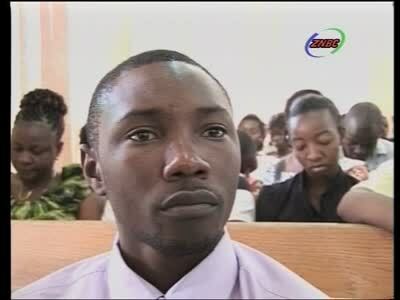 New PID for ZNBC: PID:2101[MPEG-4]/1101 aac English SID:101 (3854.00MHz, pol.R SR:6887 FEC:3/4 - Clear). New PID for ZNBC: PID:40[MPEG-4]/39 aac English SID:101 (3854.00MHz, pol.R SR:6887 FEC:3/4 - Clear). ZNBC (Zambia) broadcasts in DVB-S2 Clear on 3854.00MHz, pol.R SR:6887 FEC:3/4 SID:101 PID:43[MPEG-4]/42 English. ZNBC has left 3924.00MHz, pol.L (DVB-S2 SID:35 PID:1351[MPEG-4]/1352 English), it is no longer transmitted by satellite in Europe. A new channel has started in DVB-S2 Clear: ZNBC (Zambia) on 3924.00MHz, pol.L SR:19000 FEC:2/3 SID:35 PID:1351[MPEG-4]/1352 English. Multichoice Africa: ZNBC has left 11843.00MHz, pol.V (DVB-S2 SID:6090 PID:833[MPEG-4]/834 English), it is no longer transmitted by satellite in Europe. Multichoice Africa: A new channel has started in DVB-S2 Clear: ZNBC (Zambia) on 11843.00MHz, pol.V SR:27500 FEC:2/3 SID:6090 PID:833[MPEG-4]/834 English.